It must have been more than 15 years ago since I last interviewed Joanne Yeoh. Because of my daughter, Alyson’s interest in learning violin since she was four years old, I decided to connect once again with Yeoh. It was so that, hopefully by watching Yeoh’s violin performance, she could be inspired to put more efforts to learn violin. And it was timely too that I sent Yeoh a message late on Saturday night, asking when she would be performing next. I was not expecting an immediate reply but I guess it must have been by divine appointment that she sent me a poster on Whatsapp. “Tomorrow at the Harvest Christian Assembly in Shah Alam, between one and two during the banquet lunch at the Setia Alam Convention Centre.” With her help, I immediately connected with the Senior Pastor Alan Tan, who had invited her to perform to celebrate the church’s 20th anniversary. Unfortunately, the tickets were already sold out. There were some loose seats here and there, but to have all four seats on one table was next to impossible. I was resigned to the fact that perhaps, we would have to wait till next year before we could see her performance. In short, I thought – “It’s just heavenly!” The more I listen to the sound of violin, the more I am convinced that the angels in heaven would be playing the violin in their worship. Growing up as a fan, who loved to watch RTM orchestra performances on television, Yeoh’s passion to excel in violin began when she was about eight. That was when she started the violin, but it was a substitute to the ballet classes that she was already learning at that time. “Truth be told I was fascinated with the black classic violin case,” she admitted. “This made me feel all important, like as if I was carrying a doctor’s medical case.” Today, Joanne Yeoh is known as Dr. Joanne Yeoh, after she earned her PhD with Heriot Watt University, United Kingdom in 2009, with a focus on music and consumer behaviour. She was also a recipient of the Foreign and Commonwealth Office Scholarship, in association with British Council and the University of Leeds, where she pursued a Masters in Music Performance (MMUS) degree. Although she started first onthe piano at 4, it was eventually the violin that she committed her life to. Despite having produced two albums to date, never once did she ever think she was specially gifted. “As Albert Einstein says, and I quote “genius is 1% talent and 99% percent hard work…” Nevertheless, I do confess that I have been very blessed to be given this 1% talent by the talent giver, God, and for the doors that He has opened along this journey of life,” she said. 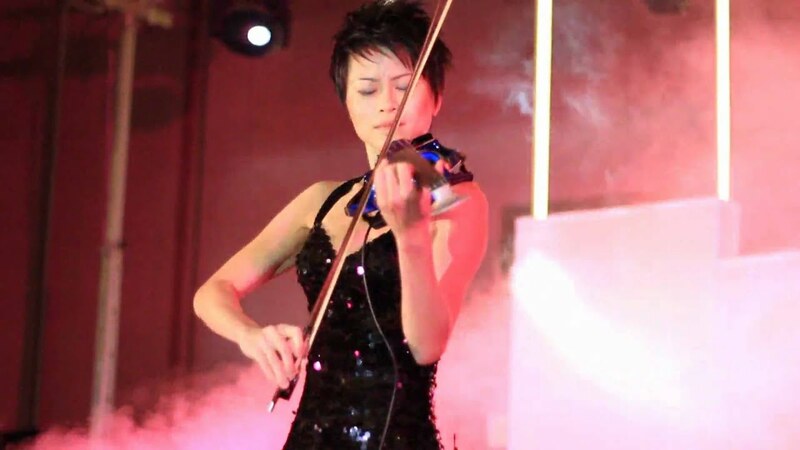 In the international arena, Yeoh has performed with international stars and big names such as Jacky Cheung on his Music Odyssey Tour 2002/03, touring Hong Kong, Malaysia, Singapore, Japan, China, Taiwan, Brunei, USA, UK and Canada in 2003 with audiences as large as 80,000. She has also performed with Alan Tam in Genting Highlands in 2008. A number of her local and international performances could be viewed here. With two albums to date, Yeoh, who is currently a full time lecturer at the music department of Universiti Putra Malaysia, hopes to live one day at a time. “I am a person who lives a day at a time. Enough problems in a day to solve as it is!” she said. Both her albums, “Pulse of the Metropolis” and “After A Dream” can be purchased online at www.joanneyeoh.com.my. To date, some 13,000 copies of the first album has already been sold.